I received this lovely entry but hadn't seen it in my inbox!! So a little late but here it is.. 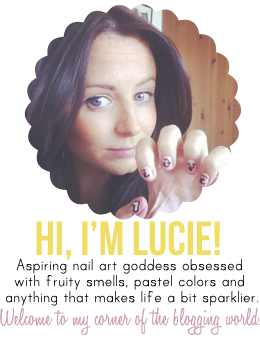 This entry is from Parisa at The Nail Movement who was inspired by a notebook cover (below)! I think this is really cool and very original.. and I also love the notebook design too! I love a colourful and flowery book cover!! Well done and good luck Parisa!! I will be announcing the winner in the next few days when we can decide which is our fave out of all of the great entries! !